Microsoft started the Build 2018 Developer Conference today. The theme of Build 2018 keynote speech is Azure Cloud and AI. There is also a developer-related announcement. This article will do a simple combing & ndash; After reading this, you know that Microsoft is building. 2018 announced what. Open source Azure IoT Edge Runtime – allows developers to modify, debug, and control more Edge applications. Custom Vision supports Azure IoT Edge – allows machine tools such as drones to gain some machine vision without networking, and will have more capabilities next. Microsoft will cooperate with DJI UAV – will launch a new SDK and give priority to Azure as a cloud service provider, and will also jointly develop a commercial drone solution. Microsoft collaborates with Qualcomm – to create a visual AI development kit running on Auzre IoT Edge that can quickly use Azure Machine Learning and Cognitive Services and Qualcomm's Vision Intelligent Platform and AI Engine to develop solutions. Project Kinect for Azure – includes modules such as next-generation depth sensors and AI processors. Based on HoloLens' technology, it can also leverage Azure AI capabilities to provide developers with solutions. Speech Devices SDK – includes high-end audio processing, noise reduction, accurate speech recognition, far-field sound and other technologies. 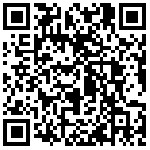 Developers can use this to develop intelligent voice speakers, car or home voice assistants. Azure Cosmos DB updates – New global scale capabilities and efficiency have increased. Project Brainwave Preview – supports running on Azure and Edge, fully utilizing Azure machine learning, supporting Intel FPGA hardware and ResNet50 based neural networks. Azure Stack and Azure Data Box versions are under development. 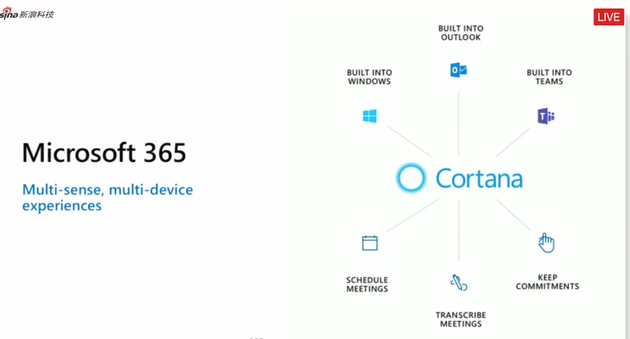 The updated Azure Cognitive Service – includes unified voice services (improved speech recognition, text-to-speech, custom speech models and translations), and Custom Vision. The updated Bot Framework – works with Azure Cognitive Services to drive the next generation of intelligent chat bots. Azure Search Preview with Cognitive Services – Works with Azure Cognitive Services to drive new indexing services to provide faster information and Insights. Microsoft Remote Assist – Users can make a remote video call, picture sharing, or mixed reality annotation (3D space annotation) without the need for two-handed intervention. They can use Remote Assist to share vision and get help remotely. Microsoft Layout – can perform interior design in a mixed reality experience, import 3D models to create interior layouts, and share and edit real-time with owners or others. The Azure Kubernetes service is about to be officially released – Simplifies the developer's Kubernetes container experience. Visual Studio IntelliCode – Take advantage of AI to enhance the quality of software development, provide smart advice, and preview from Visual Studio today. Visual Studio Live Share Preview – can pair programming with others in real time. Supports Visual Studio and VS Code and supports any language. Microsoft partners GitHub – Azure DevOps service to GitHub users, and Visual Studio App Center supports integration to GitHub. The new Microsoft Teams API – developer can create proprietary applications for companies, as well as publish customized applications. Microsoft Teams further integrates SharePoint. Support for Power BI visualization in Excel – Developers can bring Power BI visualization to Excel. Fluent Design System Update – Developers can access the UWP XAML Islands for more powerful and flexible XAML controls. MSIX – a complete containerization solution that inherits all UWP installation and update features, as well as the Managed security model, and also supports enterprise management and Microsoft Store. Azure Machine Learning and Windows Machine Learning. Microsoft announced the establishment of a $ 25 million five-year plan AI for Accessibility, the goal is to use AI to help more than 1 billion people with disabilities worldwide. 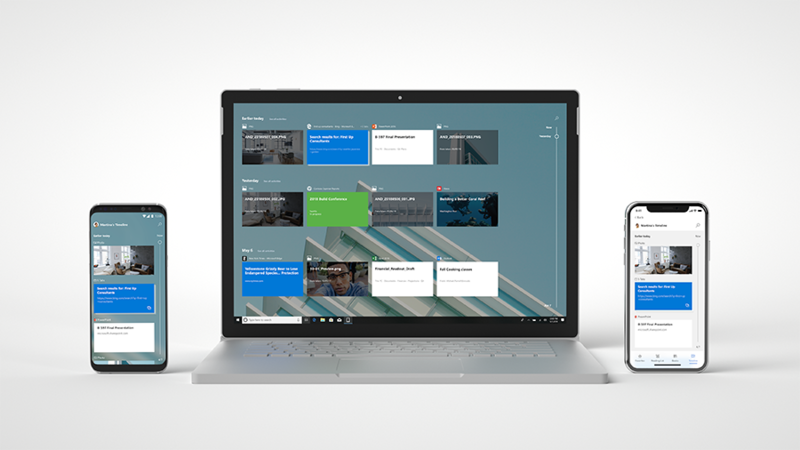 At the Build 2018 Developer Conference today, Microsoft has announced a series of new Windows 10 Redstone 5 features as part of Microsoft 365 services and will continue to support cross-platform products, especially iOS and Android, this year. 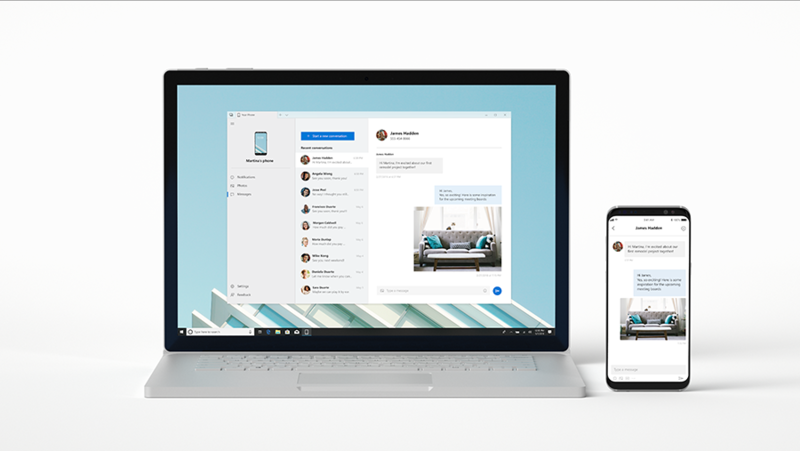 The new Your Phone experience – Instant access to text messages, photos, and notifications from your PC. You can quickly drag photos from your phone into a PC-side document. You will start testing from Insider. 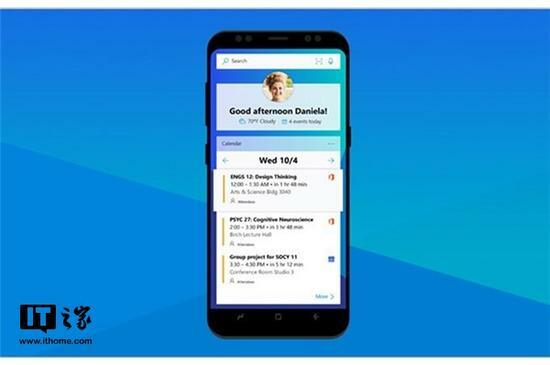 Microsoft Launcher – Android Edition is about to support enterprise users, and Timeline is compatible with cross-device applications. Edge for iOS is currently supported and there will be a big update at the end of the year. Sets – This is a feature that has been tested in the Insider version. It can better organize the application windows, UWP application native support, and Win32 needs simple modification to support. Adaptive Cards – Timeline, Skype have all supported Adaptive Card to display content information, and Outlook will support it later. Outlook will also support Microsoft Pay (partners will also have a payment announcement). Microsoft today announced on Build 2018 that the active installation of Windows 10 has exceeded 700 million. This includes PCs, tablets, mobile phones, Xbox One series, HoloLens, IoT and other devices. Microsoft had previously postponed the goal of installing 1 billion Windows 10 machines, and it may be completed by the end of 2019 according to the current rules. Microsoft today announced on Build 2018 that the proportion of application developers for consumer applications in the Microsoft Store will increase to 95% later this year, further attracting developers, with the exception of games and the Xbox platform. However, if it is an application recommended by the Microsoft Store from other channels, such as the highlight recommendation, the developer will receive a share of 85%. 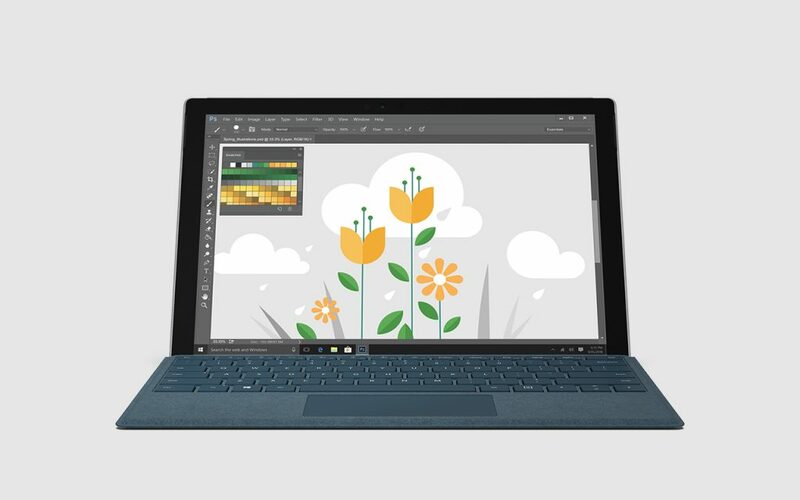 Microsoft said that it will take effect after developers need to accept new application developer agreements. 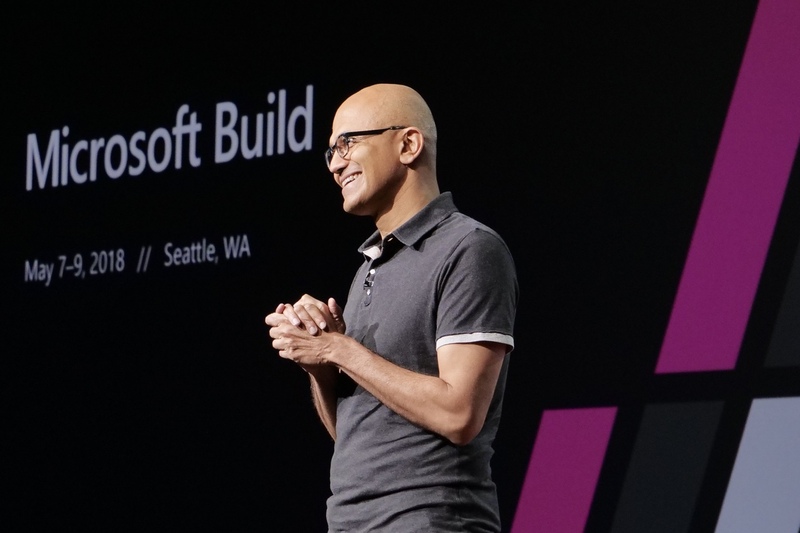 May 8 news, at this year's Build Developer Conference, Microsoft announced an important measure is the use of artificial intelligence for the benefit of social undertakings. To this end, at the Build conference, Microsoft launched the AI ​​for Accessibility Project, which aims to spend 25 million U.S. dollars over the next five years to help people with disabilities around the world (according to the latest World Bank data, the world currently has about 1 billion Disabled person). This new project of Microsoft is very similar to the company’s previous AI for Earth initiative. In fact, the company’s AI for Earth initiative is mainly to use environmentally-friendly and innovative technologies and to deal with related investments through necessary investments, donations, and professional experience. Affairs. Of course, as expected, this new artificial intelligence solution will also connect with Microsoft's cloud services. 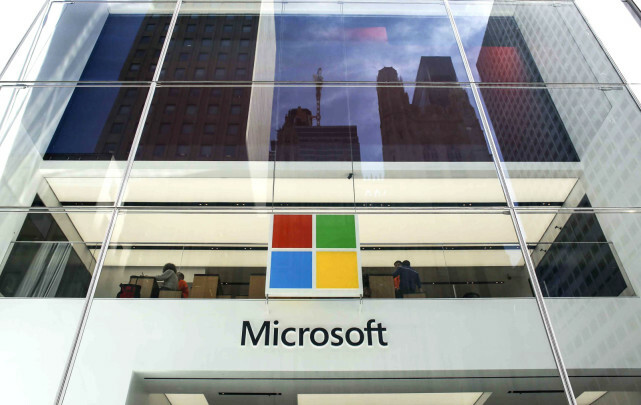 Specifically, Microsoft claims that this new project will focus on accelerating the development of artificial intelligence to help people with disabilities better and faster, thereby improving people's connectivity and modern life. It is expected that the solution for this new project will be similar to other AI-based products of Microsoft, such as the Seeing AI application. Microsoft also announced today that this new project is exploring ways to help artificial intelligence improve the lives of people with disabilities. The $25 million investment will focus on developers, universities, non-governmental organizations, and others to create artificial intelligence solutions for people with disabilities. Institutions. This project will be run by the relevant team of Microsoft. The head of the operation team is Jenny Lay-Flurrie. This person will create tools for developers and help those who intend to connect artificial intelligence. The program was promoted to all researchers.